A leavening agent used in the making of bread, Active Dry yeast is a form of yeast that tends to be less finely ground and must therefore be dissolved in four times its weight of warm water before use. The water should be about 110 to 115 degrees Fahrenheit and the yeast must be dissolved for around 10 minutes. Water temperature above 115 to 120 degrees will damage the yeast and 140 or above will kill it. If a recipe calls for fresh yeast and you have dry, use half the amount of dry yeast. In addition to its leavening action, yeast also imparts flavor to the bread. Most active dry yeast comes in pre measured packets. 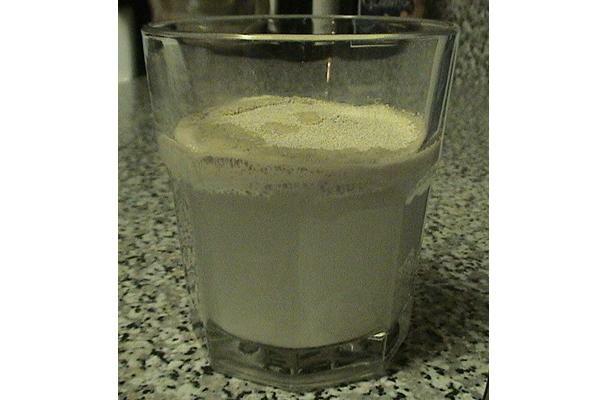 The yeast itself consists of a dry powder with a slightly grainy texture. Once combined with water and sugar though, the yeast becomes frothy liquid. Choosing: Always choose a package of active dry yeast that is within it's experation date, otherwise there is a chance the yeast in the package is dead and therefore won't be able to leven your recipe. Buying: Active dry yeast is readily availble in the baking/flour sections of groccery stores, almost always next to other leveners such as baking soda and powder. Procuring: Yeast needs both a warm environment and food to grow. The process is often called "proofing the yeast." Yeast should be dissolved in warm water (100-110 degrees F), but not hot water or it will die. Sugar is usually added to "feed" and grow the yeast. You should see activity within 5 minutes, bubbling and expansion during yeast activation. If you see no activity, your yeast is too old, the water was too warm or too cold. Baker's yeast is what we use most often for leavening when cooking.Used for Baking Bread and Dough. History: It is not known when yeast was first used to bake bread. The first records that show this use came from Ancient Egypt. Researchers speculate that a mixture of flour meal and water was left longer than usual on a warm day and the yeasts that occur in natural contaminants of the flour caused it to ferment before baking. The resulting bread would have been lighter and tastier than the previous hard flatbreads.